The best of 2018 so far! July marks the halfway point of 2018 and although it’s only been six months, we can’t believe how quick time has gone! To celebrate past 6 months, we thought we would take a look at our best selling videos of 2018. We’ll assess what was special about them, why they went on to do so well with our clients and what you can do to ensure that next time you have a best selling video! Our first best seller of the year came in the form of an unusual friendship. The video depicts Piggles, a pot bellied pig refusing to play with very persistent puppy Nova. The funny moment was captured at a home in Lincoln, California. The filmer wrote online, “Sick with the flu, I haven’t been able to play as much as normal with my puppy Pomsky (Pomeranian Husky)” and added that she took finding someone to play with into her own hands. In the video Piggy clearly is uninterested, making the video all the more funny. This video was sourced by our Newsdesk team who are always on the lookout for funny pet relationships due to how quick they go viral! We have a Best of Friends video brief open where you can upload your videos relating to all kinds of friendships! Another great video that went viral on our Newsflare socials and sold multiple times! Filmed in Puyang City, China, the video shows a little girl grabbing the bird’s neck to take out the food it just got from her mum, to then put it in her own mouth! This video worked well because you could not have planned it and the fearlessness of the little girl makes this hilarious! Sourced again by one of our newsdesk staff, the video currently has over 40k views on our Facebook channel. This video shows country singer Tim McGraw at performing at the three-day Country to Country concert in Dublin, but his performance was cut short after he collapsed on stage. The shocking moment was caught on camera by an on-looker in the audience and quickly became popular with our clients. March’s best seller is just a reminder that our newsworthy videos still are just as important as viral videos since this went on to do the best in terms of sales from clients. Classic drunk videos like this are always successful on social media since well, we’ve all been there but maybe not quite like this! This is the hilarious moment a woman attempted to order four sambucas from the DJ booth on a night out in Manchester in the UK. The video spread like wildfire on the internet and went down a treat with our clients and our socials – it has 6.4 million views on our Facebook channel. This is the incredible moment a tourist experiences a very close encounter with a young leopard that nearly goes wrong! The footage, captured in Okavango Delta in northern Botswana, shows the leopard approaching a jeep and sniffing a man’s leg before scratching it with its claws – leaving him with a bleeding wound. Sourced yet again by one of our newsdesk staff members, this video did well due to its shock factor as close encounters with Africa’s biggest predators don’t happen often! Popular with our clients in June was this video that featured an unusual fish with a bird-shaped head. Videos that display anything unique in question, that give an “OMG” or “wow” reaction tend to do particularly well with our clients, hence why this was June’s top-selling video. The clip was shot in China after a fishing enthusiast caught the animal and people started to record the fish (believed to be a grass carp) in awe – it was eventually released in the end. So that wraps up our best of 2018 so far! We have seen some amazing content through your uploads and we can’t wait to see what the next sixth months have in store. Whether you’re a long time contributor to Newsflare or this is the first time you are hearing of us, it’s never too late to get uploading! With many of our researchers working hard to compile footage for Car Crash Britain, we have seen a diverse of dashcam content coming onto our site. From the dramatic to the absurd, our team are leaving no motorway or avenue untravelled in their quest for TV worthy footage. But this week’s blog features a type of content that we don’t usually come across. While a lot of the footage we sell tends to be fairly recent, a remarkable video was uploaded to us late last year that dates all the way back to 1981. In that same year, Muhammad Ali retired from professional boxing, Lady Diana married Prince Charles, and the great Phil Collins released his heart-rending debut single ‘In The Air Tonight’. The video was captured by Rod Bean – a keen videographer who has over the years compiled a huge range of archive footage dating back to the late 50s. 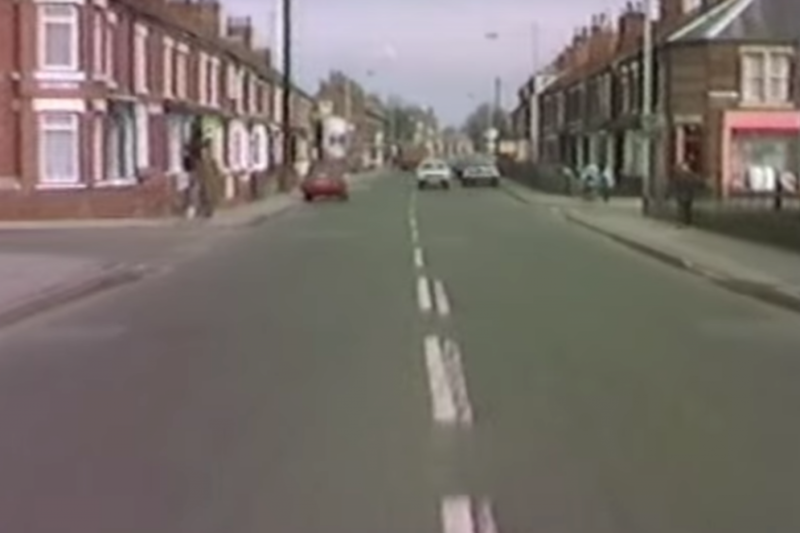 Back when cameras were hefty units that needed to be carried on your shoulder, Rod was out capturing footage in and around his hometown of Worksop. OK, maybe it isn’t quite as crazy as a lot of other Youtube videos; the van hits a wall and skids down the road with a missing wheel, looking like a comical Italian Job scene. But the date of its recording marks it as the oldest piece of content currently on our website. Whether it also counts as the oldest dashcam crash recorded is yet to be determined, but we like our chances. So how was it recorded? We got in touch with Rod and asked him a few questions about how his amazing footage was recorded. But Rod’s interest in filming his environment began long before that. As a child he took a strong interest in his father’s new camera equipment. When I was a kid, there was very little technology. Hardly anyone had a TV and they were black and white, so seeing a cine camera that could take colour film was amazing! that’s what started me off, nowadays everything is taken for granted. Asked what he thinks about the huge proliferation of recording equipment available nowadays, and how it affects the nature of videography, Rod gave us a frank assessment. If you think your video has the requisite magic to be used by one of our clients, please don’t be afraid to upload it to our website. And don’t forget about our Car Crash Global production – we’re still looking for your clips! Christmas is almost here! And as the countdown begins, expect a ratcheting up of Christmas tree photos, santa selfies, and the appearance of gaudy christmas jumpers. With many hoping to hasten 2016’s end for various reasons (RIP Harambe), those advent chocolates can’t be eaten soon enough. But for anyone finding the wait interminable, then I have good news for you: Newsflare is FULL of festive videos that will keep you entertained for hours on end. As is the case with a lot of viral videos, it is often the fails that provide the most amusement. Such is the anxiety many Christmas party planners experience when trying to put on the perfect event, that the moment of release when witnessing dear old grandad fly a mini drone into his own face is worth a thousand Christmas carols. 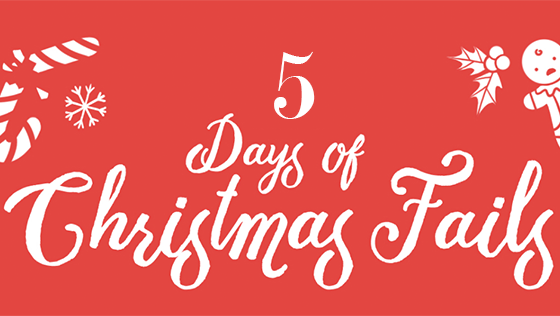 So allow us to impart a bit of festive cheer with our roundup of the top five Christmas fail videos on our platform. One gadget that really blew up last Christmas (literally) were hoverboards. The retailers of these products clearly had viral video companies like us in mind when they decided to push for a big pre-Christmas sale, with the inevitable result of daredevils up and down the land deciding – post Christmas lunch – to take their new pressie for a spin. What does Father Christmas do on his days off? If you imagined peaceful seclusion in Lapland, you will likely be shocked to find out how wrong you are. Rather than living – as we all thought – alongside Mrs Claus in domestic, mince-pie-eating bliss, he downs vast quantities of alcohol and climbs onto equestrian statues. Here, instead of Fairytale in New York, we have lairy-tale in Glasgow as the man straddles the famous monument to the Duke of Wellington on Royal Exchange Square, no doubt singing ‘Santa Baby’ with all the pronouns changed to the personal. He is filmed being escorted down by emergency services, before he was reportedly issued a penalty fine. But at least he wasn’t drink-sledding. The fabled ‘luck of the Irish’ is sadly lacking in this next clip, as a merry lad performing a festive jig ends up falling over backwards, taking the Christmas tree out with him. Another casualty of his descent is a speaker system, which falls down onto his unfortunate girlfriend. As promised, we have our man flying a mini-drone into his own face. Clearly enthralled with his new present, and excited about taking it for a maiden flight, this granddad ends up getting way more than he bargained for when he takes the controls for the first time. If you’ve never watched the 2015 film Eye in the Sky, it is about the moral challenges and implications of using unmanned aerial vehicles on the battlefield. Unbeknownst to them, the real issues lie much closer to home with Christmas celebrants like this piloting their stocking fillers around the household. Thankfully, the drone hits him only in the chin, avoiding contact with his eyes. A ‘close shave’. It must be difficult for Rudolph. Being forced to carry out a pretty-much-impossible task every 25th of December, with a by-all-accounts overweight man expecting you to cart him around. Overworked, fed only with leftovers, and in desperate need of medical attention for his nasal swelling, you’ve gotta feel for the poster boy of Santa’s reindeers. No wonder then, that he feels the need to take out his frustration every once in a while. This clip – filmed from a security camera at a wildlife park in Canada – shows a reindeer (bearing Rudolph’s appearance) destroying Santa’s sleigh. The animal then runs off, leaving the vehicle in urgent need of repairs. Now where are Santa’s elves? If you manage to film some awesome Christmas-related footage, whether funny, beautiful, or heartwarming, please upload them to our website. Our clients aren’t scrooges, and love to get in the Christmas spirit too! The UK loves dash cam footage. There used to be a time when any unusual behaviour or shockingly bad driving went unpunished. But now more and more road users are buying dash cams, and revealing to the world the kinds of crazy stuff that happens on our motorways. Like any historical movement, the rapid growth and proliferation of UK dash cam footage is not without its individual champions. Ever since road rager and now Youtube star Ronnie Pickering angrily asked of a confused motorcyclist ‘do you know who I am?’ the appetite for videos of a distinctively British nature has never been higher. 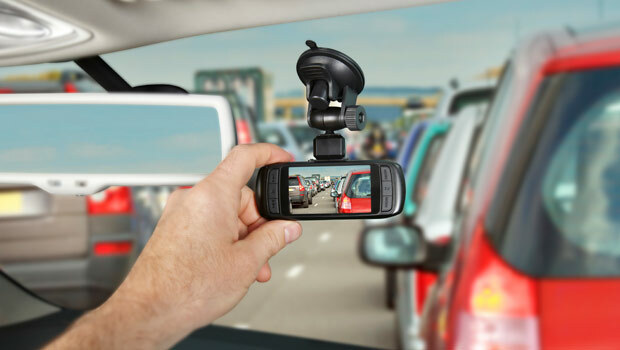 And with Newsflare working on an exciting production seeking dash cam videos from all over the UK, it made us wonder – what are some of the most British motoring moments in our archive? ‘Only in Herefordshire…’ is a criminally underused title for viral videos, but this clip of an adorably belligerent old lady arguing her case in a road rage dispute is perhaps our favourite of the fledgling genre. While most road rage videos involve physical scuffles and language that would offend even the most linguistically liberal, this woman’s argument is presented in impeccable queen’s english. “I’ve got just as much determination as you, I can assure you,” she warns, showing the world how even the most feisty of motoring disputes can still be handled in a polite manner. Rule, Britannia! Bagpipes are perhaps renowned for being one of the least soothing instruments in world music. So when a lorry driver purposefully blocks a motorway lane and creates an interminably long traffic jam (a Brit’s favourite pastime), it only takes being in a Scottish folk band to work out what the solution is. Marching towards the offending vehicle like an infantryman at Bannockburn, the ‘Skerryvore’ bagpiper can be heard playing his heart out in a bid to make the driver move off. Which he eventually does. Scotland 1-0 Lorry drivers. Take the Brits’ love of irony, add our passion for complaining about inadequate road systems, and you get this amazing dashcam video. In this vehicle, the passenger and driver can be heard complaining about a roundabout notorious for cycling accidents. And if you have any experience watching ‘Carry on…’ films, you’d be well placed to guess what happens next. Thankfully no one was injured in the ensuing crash, and the driver has vowed never to pre-empt traffic accidents again. We Brits hold our traditions sacred. Whether it’s moaning about the weather, watching England fail at various international sporting tournaments, or celebrating Christmas, the performance of these annual rituals make us feel part of a richer tapestry. One man decided to get into the Christmas spirit while journeying down the M25. Like a pound shop Santa, the guy can be seen travelling at high speed on his tinsel-bedazzled motorbike, dressed head-to-toe in a cheap festive gown. So with the buildup to Christmas already apparently underway, let this rather crazy man be an inspiration to anyone whose festive spirit may be lagging. If anyone thought the UK was full of stoical, well balanced individuals keeping stiff upper lips in stressful situations, then they haven’t seen this guy. Angry at his motorbike for not working quite as well as he’d have wanted, the man proceeds to put on a pretty hysterical performance. Captured clearly on CCTV, the man tries fight his bike, but comes off a predictable second best. He clearly forgot to Keep Calm and Carry On. If you have any interesting dashcam videos captured in the UK, Newsflare would love to help you sell them to our media clients. Just visit www.newsflare.com and upload them for a chance to get your clip featured on TV!